Giveaway with Casa Sanchez Foods! We are partnering with Casa Sanchez Foods to provide you with a delicious giveaway just in time for Cinco de Mayo! 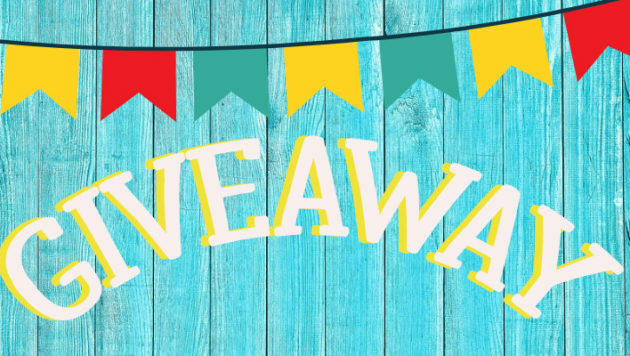 One lucky winner will receive $100 worth of chips, salsa, guacamole, rolled tacos, and taquitos! 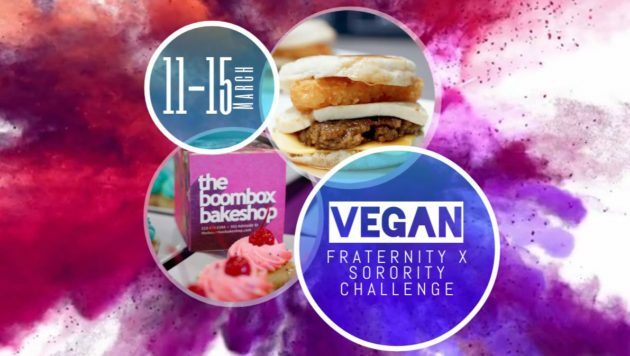 Western University is hosting their first Fraternity & Sorority Vegan Challenge! For one week, 40 students will go vegan. They will have food provided by generous sponsors and be competing in various tasks. Stay up to date with the Vegan Society (and this challenge) on their Instagram and Facebook! 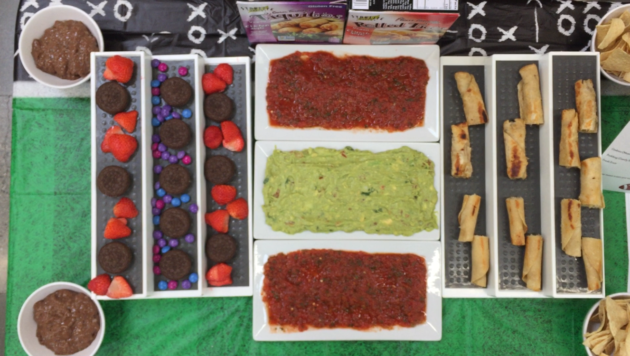 Here is a step by step process of how to make your own Snackadium (snack stadium) for the big game! It’s the perfect way to impress your hungry guests no matter which team they support. This Saturday we will be at Mother’s Market Signal Hill building our very own Snackadium! If you’ve never seen one before, a well built snackadium (snack stadium) is the perfect way to impress your hungry guests. 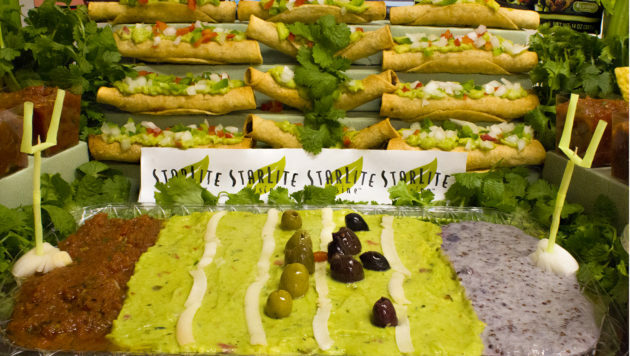 Learn how to make this football themed appetizer in store as we sample our vegan and gluten-free Taquitos. We will be matching up our two favorite teams: Savory vs. Sweet! Hurry offer ends Sunday 12/27 at midnight. * When you buy 4 or more. Buy 2 Get one Free on VeganEssentials.com! Love our Enchiladas? 😍 Want a box of Free Taquitos? 😱 Read more to find out how to have both! Step 1: Choose any 2 of the following 4 flavors. Step 2: Choose Your Taquitos! Use coupon code SLBEEF and 1 Beef Style Taquitos will automatically be added to your order at no extra cost! 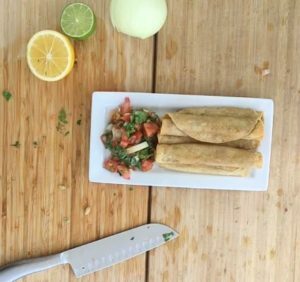 Use coupon code SLBEAN and 1 Chorizo & Black Bean Style Taquitos will automatically be added to your order at no extra cost! 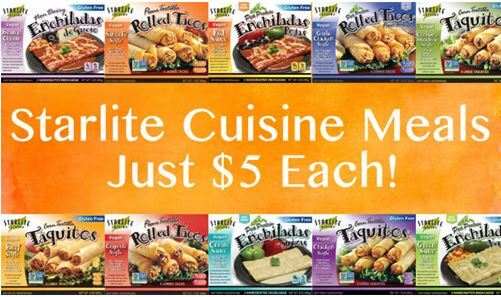 *Only 1 Free StarLite Cuisine Taquitos (flavor of your choosing) will be given to qualifying orders. Quantities are limited. Tuesday, Jan 8, 2019 @ 11:59 PM. Natural Grocer’s 63rd Anniversary Celebration! 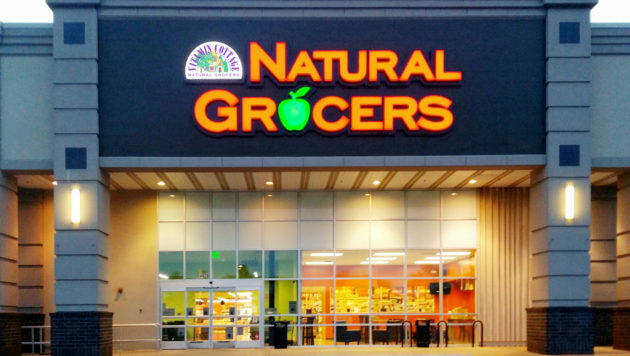 Come celebrate 63 years of Natural Grocers! 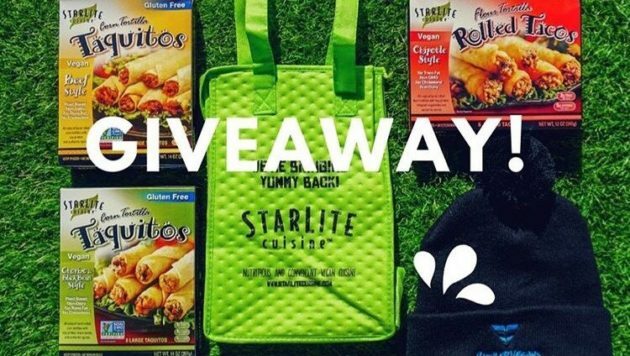 This event will be taking place at all store locations, but the Oklahoma City location will have extra StarLite Cuisine swag available for two lucky customers. So come out for a day of food, fun, and prizes! Want something refreshing but still hearty? Try making our Taquito Salad for a summer night’s dinner! With just 7 simple ingredients, you can make it no time!